St. Andrews, Scotland (January 19, 2012)—St. Andrews Golf Art (http://www.standrewsgolfart.com), currently is showcasing six leading contemporary artists whose golf specific pieces are sought after by private collectors, clubs and enthusiasts. The prestigious online gallery carefully selected respected and established talent for its introduction in 2011 to art connoisseurs. Adriano Manocchia brings a rather unique perspective to his art from past professional assignments and experiences. He began his career as a photo-journalist and ran his own photo/film agency in New York City. Adriano spent 12 years traveling the world to cover news events for television and print media. Many of his assignments were at the White House. In the 1980s, Adriano turned to painting full time, concentrating on wildlife and the great outdoors. His fluid style, dramatic use of light and a fascination with water were reflected in works of varying moods and nuances. Accolades and awards brought Adriano immediate recognition from art critics and collectors. A Bald Eagle painting was selected to commemorate the 200th anniversary of the Constitution by the U.S. Bicentennial Committee. 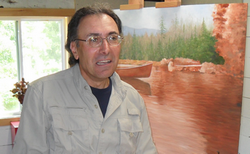 Through his distinctive art, Adriano has supported Ducks Unlimited, Atlantic Salmon Federation, Trout Unlimited, Rocky Mountain Elk Foundation, American Cancer Society and the Special Olympics. 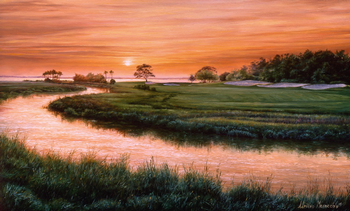 Adriano’s mesmerizing landscapes (and waterscapes) brought him into the golf arena when the United States Golf Association in 1992 commissioned him to paint a series of oils of famous courses. His first two efforts depicted the famous 8th hole at Pebble Beach and The Honors Course in Tennessee. The two images were issued as prints and were sold to raise funds for the USGA/Audubon Cooperative Sanctuary Program. The success of this venture led to many more golf art commissions from private clubs in the U.S. Most recently, Adriano created a major painting for the PGA TOUR that depicts the 18th hole at TPC Sawgrass, site of THE PLAYERS Championship, with the Tour’s spectacular clubhouse in the background. The work is on display in the clubhouse’s Champions Room. Adriano’s paintings have appeared in numerous publications, including Gray’s Sporting Journal, Flyfishing, Fly Rod & Reel, Collector Editions, Outdoor Life, Premiere (Monte Carlo), Wildlife Art, Conservationist, Pescare (Italy), Flyfishing Quarterly, Bugle, U.S. Art, Sporting Classics and Flyfisher (Japan). His work also is reproduced in several fine art golf books. Adriano resides with his family in upstate New York in the picturesque and art rich community of Cambridge. St. Andrews Golf Art was established with the intent of “Celebrating Golf’s Greatest” and new works by contemporary artists, as well as rare collectibles, will be added in the future. Collectors may register online to receive updates on new releases in the company’s informative newsletter, including the launch of a collectors club in the future. St. Andrews Golf Art also welcomes inquiries for special commissions from golf clubs, corporate clients or individuals who appreciate the appeal of acquiring a significant piece(s) of art from one of the world’s foremost golf artists. This could include incorporating a series of relevant pieces for a themed area, room or corridor of a clubhouse or private residence. or by telephone 0044 (0)7757 358918. BEAVERTON, Ore. (January 16, 2012) – To complement Nike Golf’s industry-leading Tour Performance line of apparel, the Nike Golf Sport Collection delivers new style choices. 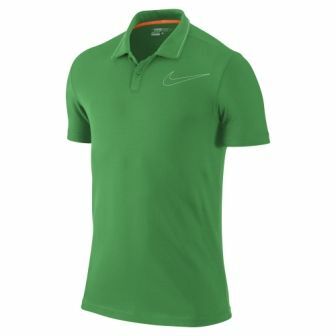 With bold and statement-making styles, Nike Golf’s Spring 2012 Sport Collection empowers athletes to show their true colors and express themselves both on and off the course through the passion of sport. Nike Golf apparel exudes high energy, but the 2012 Sport Apparel collection goes further in delivering youthful styling to golfers who want an exuberant, expressive look. The Sport Collection features new designs for polos, cover-ups, pants, shorts and headwear that represent a vibrant and irreverent passion for golf as a modern and athletic game for all ages and attitudes. The Sport Collection features playable, technical golf apparel that integrates Dri-FIT and cotton-blend fabrication to keep golfers cool and comfortable. The materials signal a return to the comfort in performance Dri-FIT blends for a more relaxed and casual attitude, but are still designed and styled to be authentic to golf. Silhouettes in the Nike Sport Collection are trim and tidy. With a slightly slimmer fit and cotton-blend fabrics, the Sport Collection styles are bold and stylish. Color is the noise in the Nike Sport collection with an emphasis on Safety Orange, an iconic Nike staple, in both body colors and details. Notable among the new releases is the Jersey Swoosh polo (MSRP $75.00) and the Sport Heather Pant (MSRP $110). The Jersey Swoosh polo has a sleek-fitting cut, a variety of bold seasonal colors and Nike’s patented Dri-FIT technology. 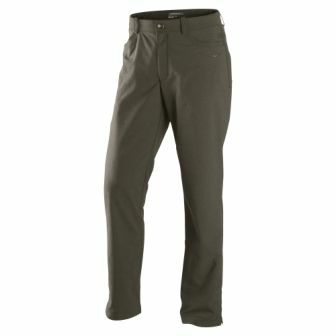 The Sport Heather pant is a new slim-fit cut that uniquely blends classic fashion with modern details for golfers who want to look stylish while maximizing their performance on the course. Beaverton, OR (January 11, 2012) – Nike Golf today announced the signing of 25-year-old Kevin Chappell, who makes his professional debut as a Nike Golf athlete when he tees it up in the first round of the Sony Open in Honolulu, HI. Chappell has signed a multi-year agreement and will represent Nike Golf in clubs, ball, footwear, glove, bag, apparel, headwear and accessories. Located in Beaverton, Oregon, Nike Golf designs and markets golf equipment, apparel, balls, footwear, bags and accessories worldwide. Nike Golf is passionately dedicated to ushering in the future of this great game by developing ground-breaking innovations that enable athletes to perform at their physical and mental peak. For more information on Nike Golf, visit our Web site at http://www.nikegolf.com. To follow Nike Golf on Twitter visit http://www.twitter.com/nikegolf and to become a fan on Facebook go towww.facebook.com/nikegolf. Editors and journalists in the U.S. seeking editorial information and downloadable images, visit http://www.nikegolf.com/presscenter. For international journalists, please contact Nike Golf’s public relations representative. (TORONTO)—Arnie—a partnership between Arnold Palmer Enterprises and the co-founders of Quagmire Golf clothing—announces that PGA Tour star and style icon Ryan Moore has become the brand ambassador for the new golf and lifestyle apparel line directly inspired by Arnold Palmer’s classic looks from the 1950s, 60s and 70s. 1950s (February) – During this period, Mr. Palmer showcased slim, clean-fitting clothes. He preferred fitted pants and tops with short plackets, small collars and shorter sleeves. Red was a prominent color in his wardrobe and is exclusively found in the 1950s collection. 1960s (April) – While dominating the competition, Mr. Palmer was also looking the part. Wider legged pants, wider collars and longer shirt plackets were the style of the day. No golfer of the era looked as naturally cool as Mr. Palmer, especially in his staple color of blue, which is exclusively found in the 1960s collection. 1970s (July) – While piloting his own plane around the world, Mr. Palmer’s wardrobe continued to evolve and set trends. He chose shirts with slightly wider collars and long plackets, but the fit of his pants more closely resembled a modern boot cut. His color palette also became more subdued, hence grey being the signature color exclusive to the 1970s collection. For more information: http://www.arniewear.com, http://www.facebook.com/ArnieWear or 800.652.9839. Two buddies who met on a golf trip, Geoff Tait and Bobby Pasternak founded Quagmire in 2005 and were named “Canadian Executives of the Year” by ScoreGolf Magazine in 2011. The line—which includes men’s, women’s and kid’s golf and lifestyle clothing—is available at hundreds of pro shops and off-course retailers throughout North America. BEAVERTON, Ore. (January 18, 2012) – Nike Golf is proud to announce that Ross Fisher, a four-time winner on the European Tour, has joined the Nike Golf Tour Staff. PALM BEACH GARDENS, Fla. – As the national job market shows signs of recovery in 2012, The PGA of America’s 11th Annual Jobs in Golf Month—which highlights online employment resource tools and a breadth of jobs within the industry—will kick off in conjunction with the 59th PGA Merchandise Show, Jan. 26-28, and continue promoting employment in golf throughout the month of February. of America’s Employment Services (located at Booth #2885) will highlight job opportunities that are currently posted on PGAJobfinder.com. The Jobs in Golf Month initiative at the PGA Merchandise Show includes recruitment services by leading industry employers; golf-related job posting boards; on-site interviewing for industry positions; employment workshops; and comprehensive PGA Employment Services. In addition, PGA.com/employment, home to PGA Employment Services, is the centerpiece of the Jobs In Golf Month initiative, and serves as the golf industry’s online resource for jobs. In support of Jobs in Golf Month, PGA Employment Services is ramping up its available resources to ensure that PGA members continue to find and maximize their career opportunities. PGA Employment Services was developed to serve as the golf industry’s hiring resource and a support mechanism to help ensure the 27,000 men and women PGA Professionals have the necessary tools to secure employment. In addition to serving as a vehicle for PGA Professionals, PGA Employment Services offers a direct communication link between golf industry employers and individuals seeking to gain employment in the golf industry. Employment-related education seminars are also being featured at the PGA Member Business Center, and will be led by the PGA Employment Consultants. Some of the featured seminar topics include “What Your Employer Wants – Connecting with Golf 2.0,” “Grow Your Value Starting NOW – The Strategy of Golf 2.0,” and “Utilizing Golf 2.0 – Your Competitive Edge,” among others. While The PGA of America offers additional resources to promote Jobs in Golf Month and the benefits of hiring PGA Professionals throughout the month of February, the Association’s expansive employment services division, which caters to PGA Professionals, golf industry employers, and individuals seeking a position within the golf industry, is an everyday commitment throughout the year. Among the many service options from the Employment Center, The PGA offers CareerLinks, a complimentary employment referral service with PGA Employment Consultants based throughout the country to provide support to employers and PGA Professionals. With this service, PGA Employment Consultants help employers identify the skills and experiences that are necessary to perform a specific job, and then enter the search specifications into the CareerLinks database to identify qualified PGA candidates. Last year, more than 470 positions were filled through the CareerLinks service. Other employment services include PGA Jobfinder, an online tool located at http://www.PGA.com/employment, which helps golf industry employers fill a variety of golf industry positions from PGA Teaching Professionals to Clubhouse Staff to Manufacturer’s Sales Representatives. The PGA also retains the services of a wage-and-hour consultant to help PGA Professionals and employers interpret labor laws and wage-and-hour information. Since last January, more than 3,035 jobs for PGA Professional positions were posted on PGALinks.com and nearly 1,900 positions were listed on the public job board on PGA.com. Launched in 2002, the Jobs in Golf Month campaign is designed to promote employment services to golf employers and potential employees. The PGA Jobs in Golf Month campaign works with the PGA Employment Center located online at http://www.PGA.com/employment. Since its founding in 1916, The PGA of America has maintained a twofold mission: to establish and elevate the standards of the profession and to grow interest and participation in the game of golf. By establishing and elevating the standards of the golf profession through world-class education, career services, marketing and research programs, The PGA enables its professionals to maximize their performance in their respective career paths and showcases them as experts in the game and in the multi-billion dollar golf industry. By creating and delivering world-class championships and innovative programs, The PGA of America elevates the public’s interest in the game, the desire to play more golf, and ensures accessibility to the game for everyone everywhere. As The PGA nears its centennial, the PGA brand represents the very best in golf. (SCOTTSDALE, AZ)—GolfLogix—the No. 1 App for Golf and a world leader in GPS and club-tracking technology—announces that seven-time PGA Tour winner and 2007 Masters champion Zach Johnson has become the inaugural staff player on the company’s Tour roster. Through this multi-year agreement, the 35-year-old will showcase the brand’s logo on his shirt sleeve during competition, be featured in GolfLogix marketing initiatives and interact with the company’s nearly 1.5 million online community members. A two-time member of the U.S. Ryder Cup and Presidents Cup teams, Johnson is the only player to shoot 60 twice on the PGA Tour. Renowned for his short game and tenacity, the native Iowan was one of only two players to win an event every season from 2007-10, along with Phil Mickelson. Easily downloaded from http://www.GolfLogix.com, the free GolfLogix GPS app is compatible with more than 60 smartphone models. It provides accurate distances to the center of the green, yardage book quality imagery of each hole, scorekeeping and in-round pro-level stat tracking for nearly 30,000 courses worldwide. For less than $20, an upgraded annual Champion membership provides golfers with club tracking and distances to any location on the hole—including pin position, hazards and landing zones. All membership levels include access to the GolfLogix Member Clubhouse, the No. 1 online golf community where millions of golfers interact through social forums, offer challenges to fellow golfers and maintain an indexed handicap. Personal web pages for each user also stores performance statistics, so every round can be analyzed by fairways hit, greens in regulation, putting, shot trends and more. The No. 1 App for Golf, GolfLogix boasts almost 1.5 million members on the world’s top-selling smartphones. Dedicated to offering consumers the most advanced GPS solutions with the best features, quality and price, GolfLogix helps improve individual performance. In 2009, the rapid advance of smartphone technology led GolfLogix to develop and quickly capture the market with an easy-to-use application providing precise GPS distances. In addition, the software manages scorekeeping and stat tracking, then uploads them to an online clubhouse community where golfers can interact and compete with millions of other players worldwide. Now available on more than 60 different smartphone models, The No. 1 App for Golf offers maps for nearly 30,000 courses globally. BEAVERTON, Ore. (January 19, 2012) – Leveraging the success of the Nike Lunar Control men’s golf shoe, Nike Golf is expanding its Lunar offering with the addition of the new Nike Lunar Ascend men’s golf shoe. Loaded with innovative Nike technology, the Nike Lunar Ascend features Nike’s Hyperfuse construction and Integrated Traction. 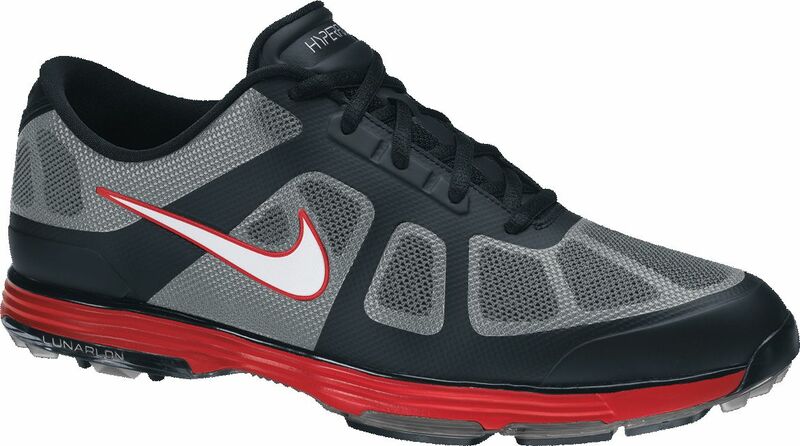 Available on January 1, 2012, The Nike Lunar Ascend is engineered with the ingredients of the perfect lightweight and breathable golf shoe that combines stability and the comfort of Lunar cushioning. To achieve these optimal combinations, Nike Golf collaborated with Nike Inc. to utilize Hyperfuse construction to deliver the perfect summer golf shoe. An upper construction technique that originated in Nike Basketball, Hyperfuse construction is an innovative multi-layered construction that ensures lightweight support, comfort, breathability and durability. Hyperfuse is an engineered composite of three different materials: an internal synthetic underlay for structure and support, a performance mesh layer for breathability and a thin TPU durable outer layer for additional protection and support. The base stability layer and the breathable layer are fused together with the thin TPU skin layer for a no-sew construction. Hyperfuse construction allows the Nike Lunar Ascend to achieve structure and stability while maintaining lightweight breathability. This Nike innovative technology results in a serious performance golf shoe. The Nike Lunar Ascend utilizes the Tour-proven Lunarlon foam cushioning paired with an Integrated Traction performance outsole. Integrated Traction is a molded TPU outsole that enhances traction and ground feel while reducing the overall weight of the shoe. The lower profile of the Nike Lunar Ascend increases stability while utilizing Integrated Traction to eliminate spike pressure and maintain traction. The Integrated Traction outsole allows more flexibility and greater natural motion for the foot. Packed with golf-specific technology, the Nike Lunar Ascend is the pinnacle lightweight and breathable performance summer golf shoe.